fabric for over 35 years. 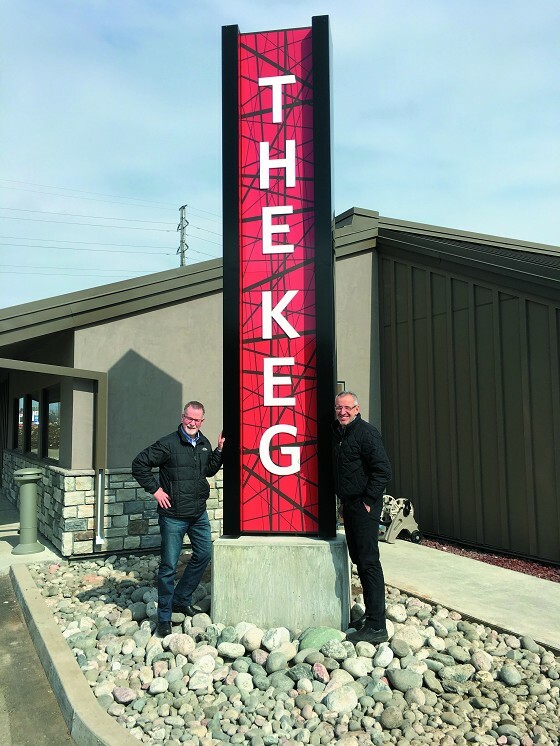 Bob Stewart and Tom Pazianos, co owners of The Keg Steakhouse + Bar Thunder Bay have just completed an intensive total renovation of the popular restaurant. “ The Keg came to Thunder Bay in February 1981. Tom and I were both here at the start. I began as a cook and Tom started as a waiter, and by the end of that year we were both in management. Opportunities presented themselves for ownership and we moved to that right away. I was a Keg owner at 23 years old.” noted Bob Stewart. Back in the day there were 70 to 75 Kegs in the 80’s when Thunder Bay opened. Today there are over 100 Kegs in North America. The Keg has done well from the start in Thunder Bay. It has been a give and take relationship according to Bob Stewart as they have long embraced Thunder Bay as a community. The Keg is well known for their many involvements in charity activities. In fact the Thunder Bay Keg team have just received the Red Cross Power of Humanity Award for community involvement. The Keg Thunder Bay building was totally gutted down to concrete and studs with everything brand new. FORM Architecture helped with the design of the exterior of the building. The inside was designed by Cheryl Watson from the KEG who picked all the finishes and table layouts with John Stephenson of FORM. The washrooms had already been refinished a few years ago so everything is new. The Keg Thunder Bay has 4 managers and some supervisors with a total of over 110 staff. There are 4 full time kitchen people, 4 people that clean the restaurant every day and the rest are servers, bartenders and evening cooks. 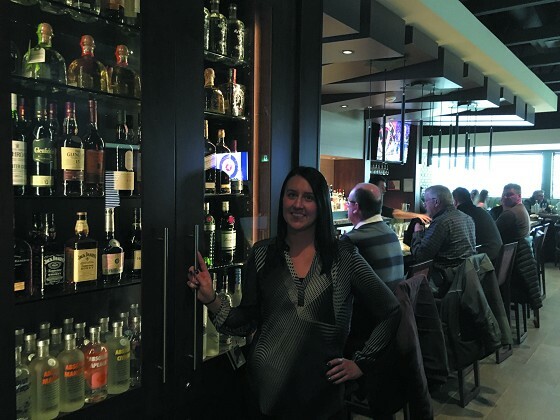 “ The Keg Thunder Bay has won the Franchisee of the Year several times and have been in the top three in sales in Canada at times in the 90’s. We have just kept going and rejevinating along the way until here we are today. Since re opening with our renovations we have been back to our 1980 sales volumes again every week,” said Bob Stewart. “ The restaurant is a great business to be in and keeps you young and very connected with your community. It is great business to have fun. The Keg Steakhouse + Bar Thunder Bay open every day at 4 pm, 7 days a week. They only close December 25th!